A slyly fun picture book for kids and adults alike! A "good" book may have a spaceman or a ninja or a cowboy, but Everybody’s Favorite Book has something better: a Space Ninja Cow. And that’s only the beginning. You like princesses? We got ‘em. Prefer a mystery? No sweat. Want the definition of "gallimaufry"? A good poop joke? A giant, carnivorous guinea pig? Check, check and check. And there's more! Much more! This book has everything, for everybody! Claire Almon lives in Atlanta. She holds a BFA in illustration from Ringling College of Art and Design and an MFA in animation from Savannah College of Art and Design. She has experience working for clients including Netflix and Cartoon Network, among others. 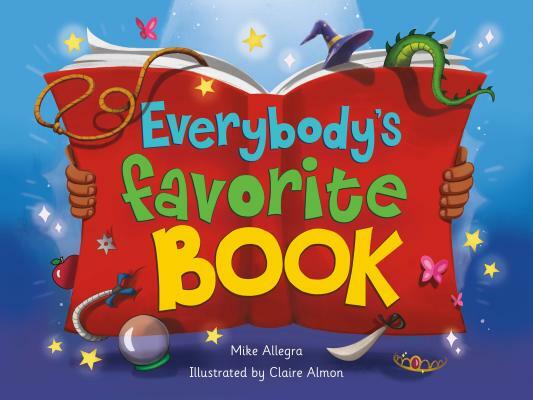 Claire is the illustrator of Mike Allegra's picture book, Everybody's Favorite Book.